An innovative and premium home improvement product, bifold doors are one of the most demanded door styles currently available on the UK market. 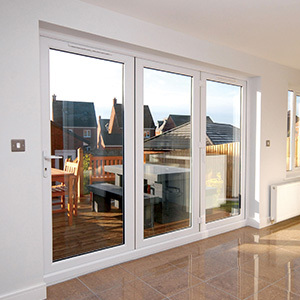 At A-Rated Home Improvements, we offer sleek bi-fold doors made using modern aluminium or uPVC and high-performance triple glazing that easily reaches an ‘A’ energy rating for maximum home comfort and warmth. Our selection of bi-fold doors seamlessly merge home into garden to help create an atmosphere and mood that is much more natural. They have ultra-slim sightlines and a clean profile, providing rooms with a modern, sleek appearance – available in an extensive range of opening configurations and colours. Capable of accommodating up to 7 panes depending on the size of your home’s aperture, bi-fold doors slide effortlessly on a smooth track to provide optimal levels of ventilation. Thanks to their slim sightlines and large panes of glass, bi-fold doors can also maximise the amount of natural light able to enter your home, providing impressive outside views simultaneously. A-Rated Home Improvement’s range of bi-fold doors come in a generous range of RAL colours and finishes to complement the existing character of any home in which they are installed. Finish off your desired style with high quality tinted, solar controlled or self-cleaning glass for further customisation. 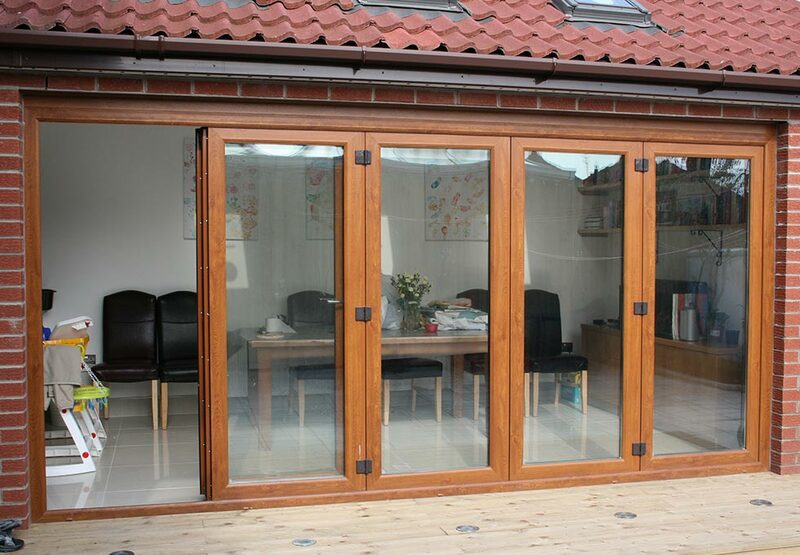 With bi-fold doors from us, it’s easy to create a door style that wholly bespoke for your home.